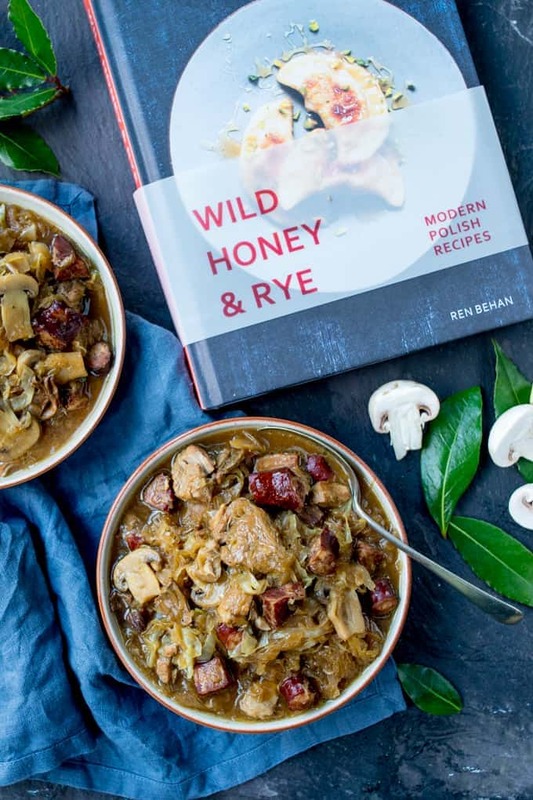 A Polish Classic – Hunter’s Stew (Bigos) from Ren Behan’s new book Wild Honey and Rye! I’m feeling a little starstruck at the moment – one of my blogger buddies – Ren Behan – has her new cookbook out today! I was sent an early copy to review (please note, this isn’t a paid review, and all opinions are my own), and wow! So many scrummy recipes! 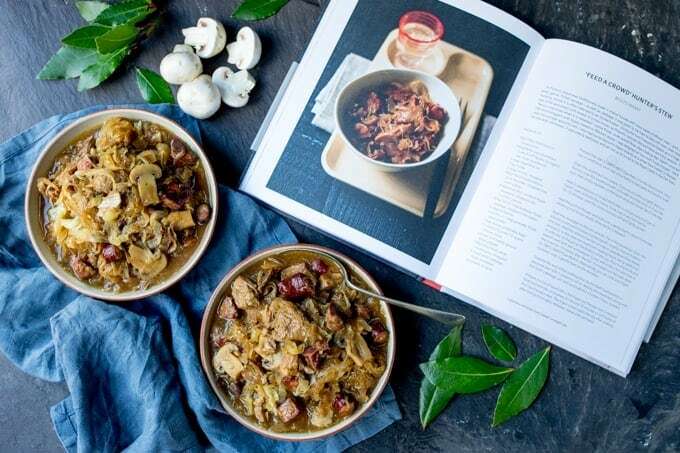 Amongst about a hundred other things, I was tempted to make her strawberry, honey and pistachio pierogis (which grace the front cover), but then I spotted the Hunter’s stew – the Polish national dish often known as bigos. 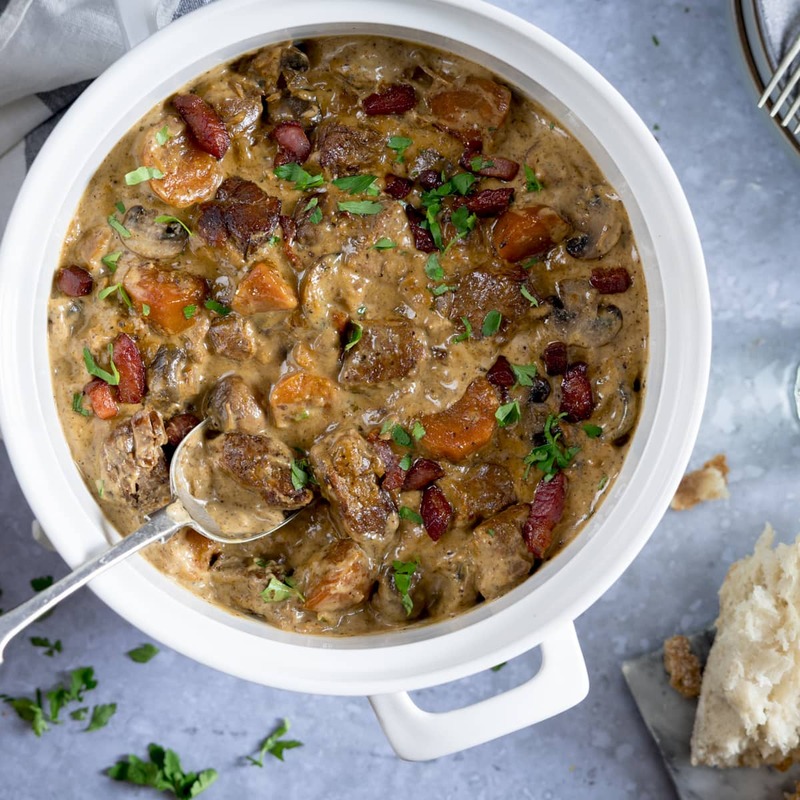 Slow cooked pork with mushrooms and stock is exactly the kind of comfort food I love. But what really caught my eye was the inclusion of sauerkraut and two types of polish sausage. Polish cooking isn’t something I’ve really experimented with, so I was intrigued to try some new flavour combinations (I’ll be saving the pierogi recipe to make next!). The stew starts off on the hob and is finished in the oven. A little under 3 hours from start to finish, it’s the perfect meal to cook in the oven on a drizzly Saturday afternoon. I went with the suggestion of rinsing the sauerkraut first – to reduce the sourness so it didn’t overpower the dish – and I found this resulted in the most amazing subtle tang to the flavoursome sauce (honestly – that sauce! I couldn’t stop hovering over the pan to take another slurp!). 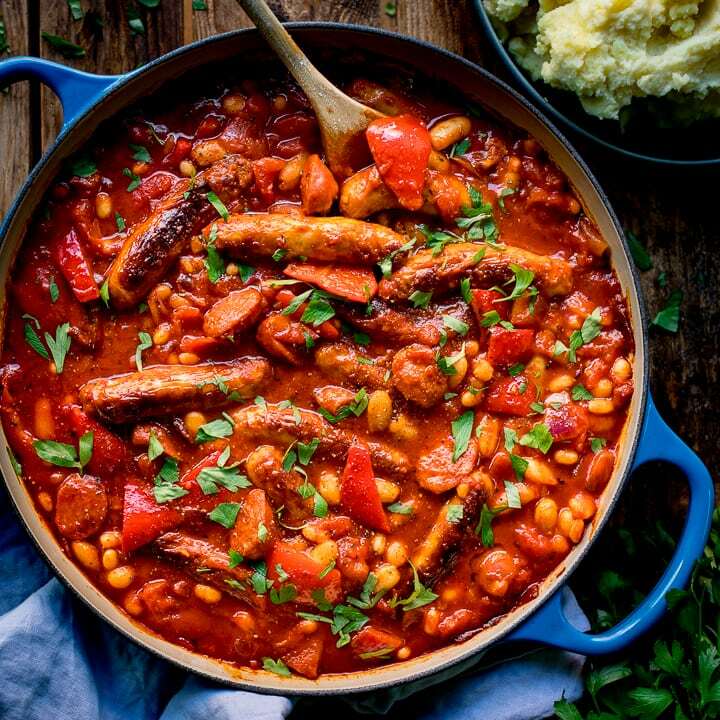 I loved the tender, fall-apart pork, the tangy bite of the cabbage, and the sausages added lots of meaty flavour (the kids’ loved the sausages the most). 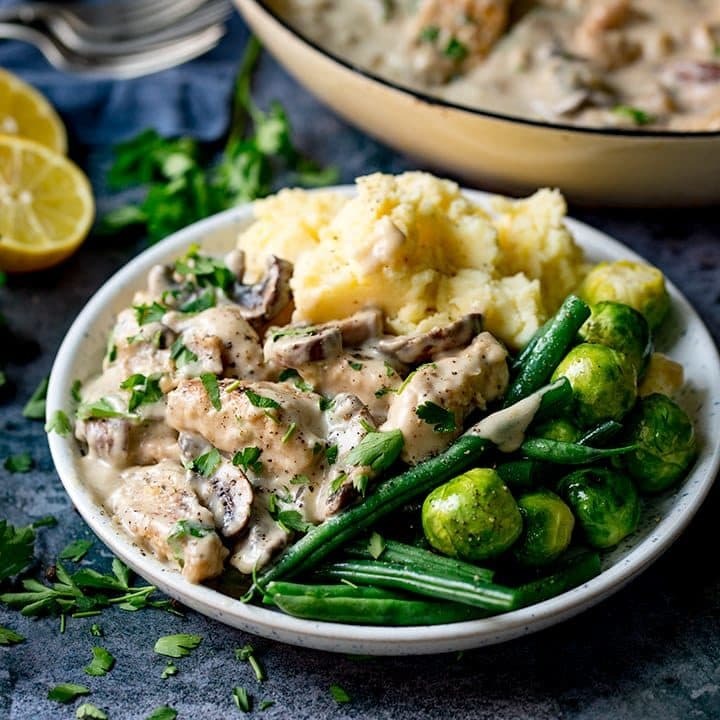 A really warming dish, that – as Ren mentions in her book – tastes even better the next day. I did worry that my supermarket might not stock the kielbasa and kabanosy sausages, but much to my surprise, I found them both in Morrisons. The only thing I couldn’t find was powidla – or polish plum butter (although I later spotted there’s a recipe for this in the book too!). So I went with Ren’s suggestion of replacing with two prunes instead. So good! Serve it with plenty of bread to soak up those lovely juices. Spiced honey vodka – oh yes! That’s making my Christmas drinks list! 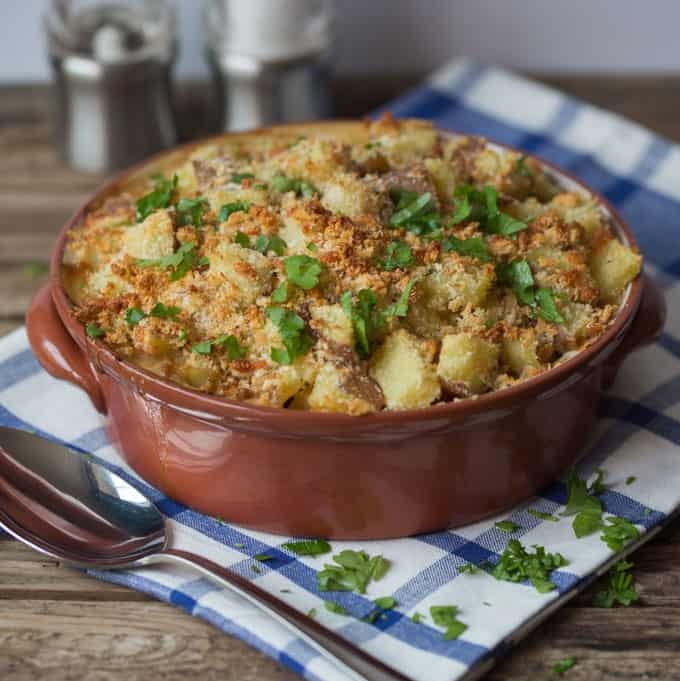 Polish apple cake – which Ren says is a cross between a cake and a pie – topped with sweet, grated pie dough. What a cool idea! 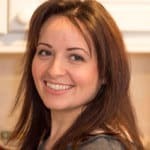 Check out Ren’s blog post on her journey to publishing her first cookbook here. 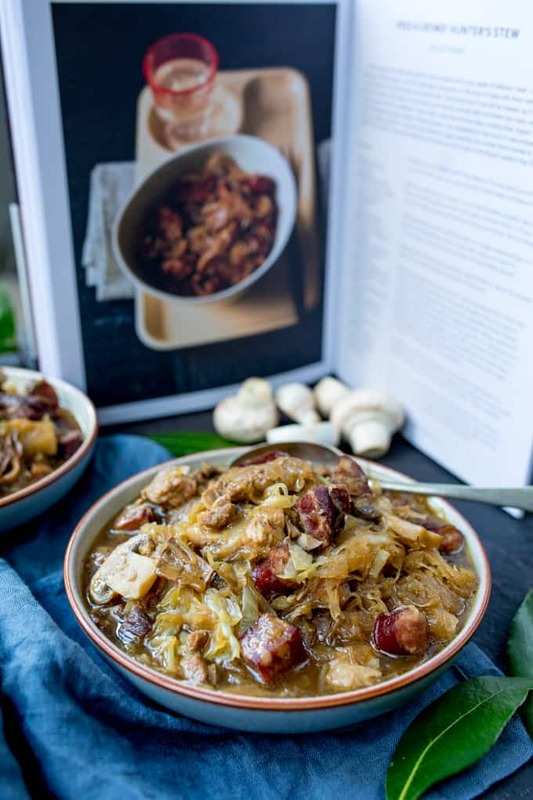 A Polish Classic - Hunter's Stew (Bigos) from Ren Behan's new book Wild Honey and Rye! Place the dried porcini into a small bowl, pour over freshly boiled water and leave to soak. flavour, rinse the sauerkraut with cold water and then drain it (I did this and it worked really well - just a slight tang). If you like sour, then squeeze out the liquid using your hands. Put to one side. Heat 2 tablespoons of oil and the butter in a large ovenproof pan or Dutch oven and add the onions. Cook over a very low heat for 10 - 15 minutes, until the onions are very soft and lightly golden. Add the pork to the pan and cook over a gentle heat for about 10 minutes, allowing it to brown slowly while the fat is released. Add the sausages to the pan and stir. Add the sauerkraut. Drain the porcini mushrooms (reserving the liquid), roughly chop and add to the pan. Add the allspice berries, prunes or powidta and bay leaves, and pour in the reserved mushroom soaking liquid, being careful not to add any of the grit at the bottom of the cup. the oven for 11/2 hours. After the first 15 minutes turn the oven down to 180C/350F/Gas Mark 4. (Alternatively, you can cook your bigos, covered, over a gentle heat on the hob). Towards the end of the cooking time, fry the fresh mushrooms in a separate pan with the remaining oil. Add to the stew, along with the fresh cabbage, stir well, cover and place back in the oven for a further hour. If there is a lot of liquid left in the bigos, put the pan over a medium heat and simmer, uncovered, for around 10 minutes or until some of the liquid evaporates (although I preferred mine with lots of juice!). Serve with rye bread. 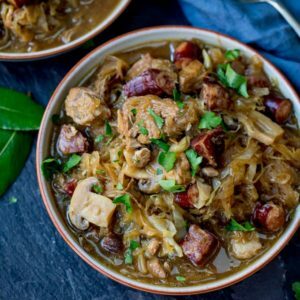 The bigos is delicious eaten right away, but even better the next day after being thoroughly reheated. I hadn’t tried Polish food until seeing this, and I must say I’m glad I did. Thank you for introducing me to this. Looks delicious! I also use prunes, powidla are very hard to get in UK, and even those sold in jars are not like the ones made at home. I find them too sweet and too watery. If you can find smoked prunes even better. Hi ???? 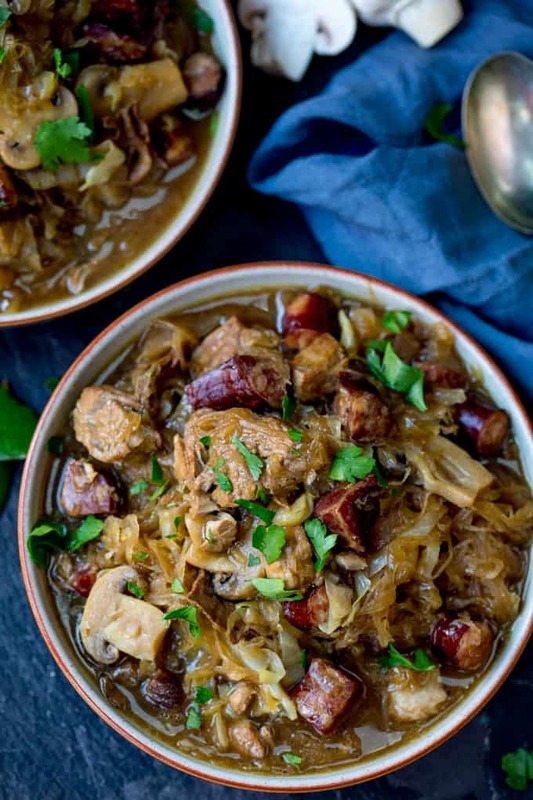 I have to say bigos is one of my favourite dishes. I make it every year for Christmas, it is a lot of combinations (I think every family in Poland have own recipe). My bigos have many types of meat (the more types of meat, the better is bigos), also 3 types of polish kielbasa. Plum marmalade, or dried plums gives wonderful flavour. I’m from Poland but I live in Germany. Greetings! ???? Oh wow, that looks so good. I’m a bit wary of sauerkraut, so the rinsing idea definitely sounds like a plan. It worked a treat Janice – left just a light tang, which I really liked. 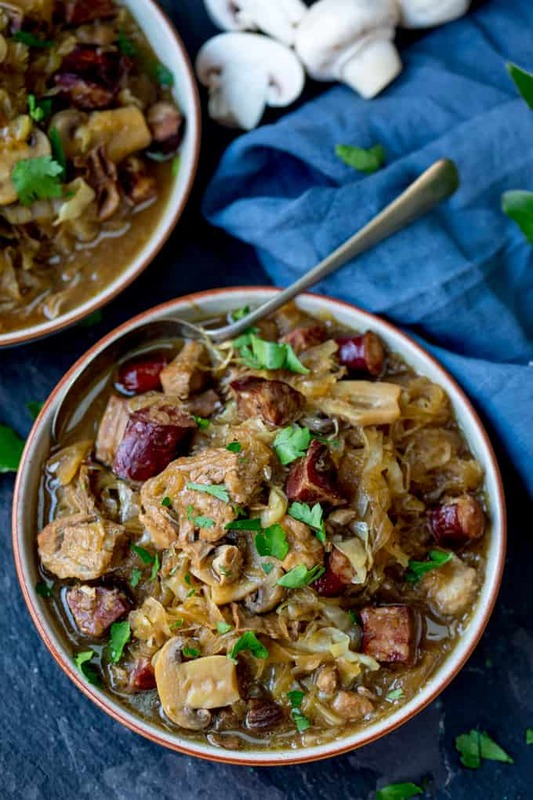 I make my own version of bigos so I am really looking forward to trying Ren’s! There are so many lovely recipes in Ren’s gorgeous book. This is such a nice review and recreation from it.